Amelia Ann Blanford Edwards (7 June 1831 – 15 April 1892) was an English novelist, journalist, traveller and Egyptologist. In the winter of 1873–1874, accompanied by several friends, Edwards toured Egypt, discovering a fascination with the land and its cultures, both ancient and modern. Journeying southwards from Cairo in a hired dahabiyeh (manned houseboat), the companions visited Philae and ultimately reached Abu Simbel where they remained for six weeks. During this last period, a member of Edwards' party, the English painter Andrew McCallum, discovered a previously-unknown sanctuary which bore her name for some time afterwards. Having once returned to the UK, Edwards proceeded to write a vivid description of her Nile voyage, publishing the resulting book in 1876 under the title of A Thousand Miles up the Nile. Enhanced with her own hand-drawn illustrations, the travelogue became an immediate bestseller. Edwards' travels in Egypt had made her aware of the increasing threat directed towards the ancient monuments by tourism and modern development. Determined to stem these threats by the force of public awareness and scientific endeavour, Edwards became a tireless public advocate for the research and preservation of the ancient monuments and, in 1882, co-founded the Egypt Exploration Fund (now the Egypt Exploration Society) with Reginald Stuart Poole, curator of the Department of Coins and Medals at the British Museum. 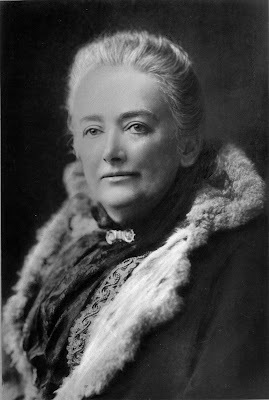 Edwards was to serve as joint Honorary Secretary of the Fund until her death some 14 years later. 421 – Emperor Theodosius II marries Aelia Eudocia. The wedding is celebrated at Constantinople (Byzantine Empire). 1099 – The First Crusade: The Siege of Jerusalem begins. 1420 – Troops of the Republic of Venice capture Udine, ending the independence of the Patriarchal State of Friuli. 1494 – Spain and Portugal sign the Treaty of Tordesillas which divides the New World between the two countries. 1628 – The Petition of Right, a major English constitutional document, is granted the Royal Assent by Charles I and becomes law. 1654 – Louis XIV is crowned King of France. 1692 – Port Royal, Jamaica, is hit by a catastrophic earthquake; in just three minutes, 1,600 people are killed and 3,000 are seriously injured. 1776 – Richard Henry Lee presents the "Lee Resolution" to the Continental Congress. The motion is seconded by John Adams and leads to the United States Declaration of Independence. 1810 – The newspaper Gazeta de Buenos Ayres is first published in Argentina. 1832 – Asian cholera reaches Quebec, brought by Irish immigrants, and kills about 6,000 people in Lower Canada. 1862 – The United States and the United Kingdom agree to suppress the slave trade. 1863 – During the French intervention in Mexico, Mexico City is captured by French troops. 1866 – 1,800 Fenian raiders are repelled back to the United States after they loot and plunder around Saint-Armand and Frelighsburg, Quebec. 1880 – War of the Pacific: The Battle of Arica, assault and capture of Morro de Arica (Arica Cape), that ended the Campaña del Desierto (Desert Campaign). 1892 – Benjamin Harrison becomes the first President of the United States to attend a baseball game. 1892 – Homer Plessy is arrested for refusing to leave his seat in the "whites-only" car of a train; he would lose the resulting court case, Plessy v. Ferguson. 1893 – Mohandas Gandhi's first act of civil disobedience. 1899 – American Temperance crusader Carrie Nation begins her campaign of vandalizing alcohol-serving establishments by destroying the inventory in a saloon in Kiowa, Kansas. 1905 – Norway's parliament dissolves its union with Sweden, a vote that is confirmed by a national plebiscite on August 13 of that year. 1906 – Cunard Line's RMS Lusitania is launched at the John Brown Shipyard, Glasgow (Clydebank), Scotland. 1909 – Mary Pickford makes her screen debut at the age of 16. 1917 – World War I: Battle of Messines – Allied ammonal mines underneath German trenches at Messines Ridge are detonated, killing 10,000 German troops. 1919 – Sette giugno: Riot in Malta; four are killed. 1929 – The Lateran Treaty is ratified, bringing Vatican City into existence. 1936 – The Steel Workers Organizing Committee, a trade union, is founded in Pittsburgh, Pennsylvania. Philip Murray is elected its first president. 1938 – The Douglas DC-4E makes its first test flight. 1940 – King Haakon VII, Crown Prince Olav, and the Norwegian government leave Tromsø and go into exile in London. 1942 – World War II: Aleutian Islands Campaign: Japanese soldiers occupy the American islands of Attu and Kiska, in the Aleutian Islands off Alaska. 1944 – World War II: The steamer Danae carrying 350 Cretan Jews and 250 Cretan partisans is sunk without survivors off the shore of Santorini. 1944 – World War II: Battle of Normandy – At Abbey Ardennes members of the SS Division Hitlerjugend massacre 23 Canadian prisoners of war. 1945 – King Haakon VII of Norway returns with his family to Oslo after five years in exile. 1948 – Edvard Beneš resigns as President of Czechoslovakia rather than sign the Ninth-of-May Constitution making his nation a Communist state. 1955 – Lux Radio Theater signs off the air permanently. The show launched in New York in 1934, and featured radio adaptations of Broadway shows and popular films. 1965 – The Supreme Court of the United States hands down its decision in Griswold v. Connecticut, effectively legalizing the use of contraception by married couples. 1967 – Israeli forces enter Jerusalem during the Six-Day War. 1971 – The United States Supreme Court overturns the conviction of Paul Cohen for disturbing the peace, setting the precedent that vulgar writing is protected under the First Amendment. 1971 – The Alcohol, Tobacco, and Firearms Division of the U.S. Internal Revenue Service raids the home of Ken Ballew for illegal possession of hand grenades, which all turn out to be inert or dummies. 1975 – The inaugural Cricket World Cup begins in England. 1977 – 500 million people watch on television as the high day of Silver Jubilee of Queen Elizabeth II begins. 1981 – The Israeli Air Force destroys Iraq's Osiraq nuclear reactor during Operation Opera. The facility could have been used to make nuclear weapons. 1982 – Priscilla Presley opens Graceland to the public; the bathroom where Elvis Presley died five years earlier is kept off-limits. 1989 – Surinam Airways Flight 764 crashes on approach to Paramaribo-Zanderij International Airport in Suriname due to pilot error, killing 176 of 187 aboard. 1991 – Mount Pinatubo explodes generating an ash column 7 kilometres (4.3 mi) high. 1995 – The long-range Boeing 777 enters service with United Airlines. 1998 – James Byrd, Jr. of Texas is killed when white supremacists drag him behind a pickup truck along an asphalt pavement. 2000 – The United Nations defines the Blue Line as the border between Israel and Lebanon. 2006 – Abu Musab al-Zarqawi, the leader of Al-Qaeda in Iraq, is killed in an airstrike by the United States Air Force.